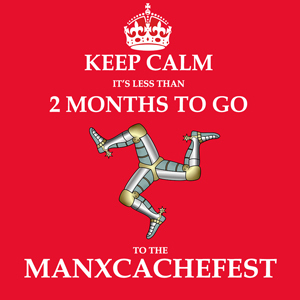 It’s less than 2 months before the 2015 ManxCacheFest and we are looking for local geocachers to join in the fun alongside our visiting cachers. There are 9 events here on the Isle of Man between 15th and 21st August and we are looking for more local Manx cachers to log that they ‘will attend’ as many events as they can. For a list of events go to events.manxcachefest.com and click on an event to be taken to geocaching.com where you can log your ‘WILL ATTEND’. Why not come and share your local knowledge of caches and trails with our visitors from overseas? Anyone who can help with the events would be most welcome and they can contact us here for more details. As well as the 9 events there will be many new geocaches published especially for the ManxCacheFest and there will be an opportunity to find 9 CACHE TYPES IN ONE DAY! To keep up-to-date with all the new information just log your attendance at an event to automatically receive all the announcements. Like us on Facebook, Follow us on twitter and happy caching! Geocaching Roadtrip starts officially this Friday.